Finding grants is hit or miss, so many teachers are using these techniques to raise money through crowdfunding. Flexible classrooms are growing more popular as workplace design is inspiring teachers to reimagine their environments. 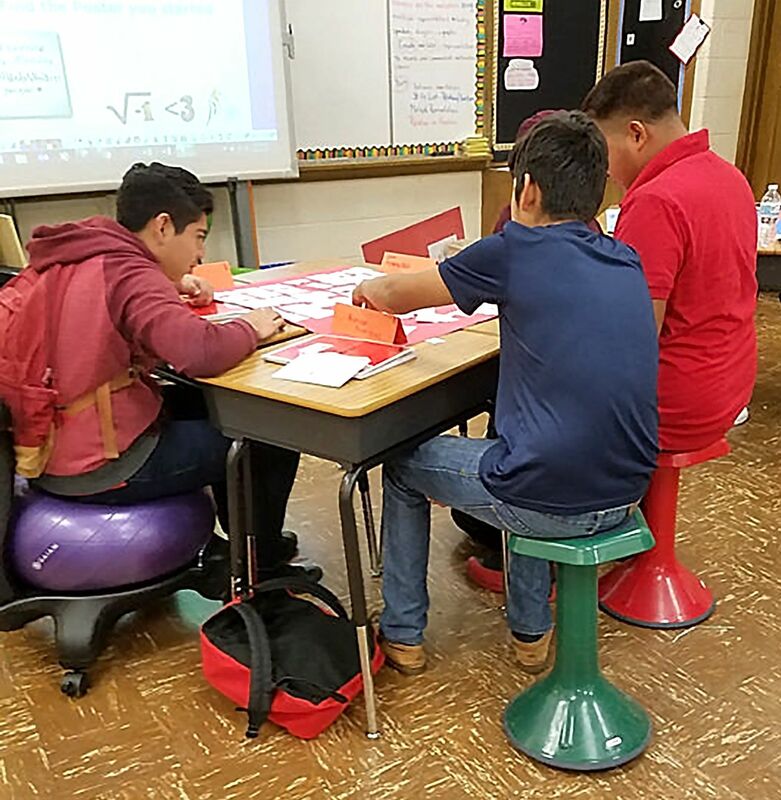 Flexibility encourages agency, experts say—allowing students to choose independent or group seating setups that they feel best support their learning. “Flexible seating fundraising pages are becoming more popular as educators are finding alternative seating options for their students make a big impact,” says Andyshea Saberioon, CEO and co-founder of the crowdfunding platform PledgeCents. We spoke with PledgeCents and DonorsChoose.org, and with teachers who’ve had success on those platforms, to bring you the lowdown on how to fund your room makeover. DonorsChoose.org is the most popular crowdfunding site among teachers we spoke to. The site funds projects for K–12 public schools, including magnet, charter, and Head Start schools. To increase your visibility, ask to have your project added to a Community giving page. Members create a Community page—with a group of thematically related projects—and promote those projects on Facebook to encourage donations. Southern Hospitality, for example, supports projects from high-poverty schools in the South. Find a Community that matches your project and message the Facebook page to add your project to their list. 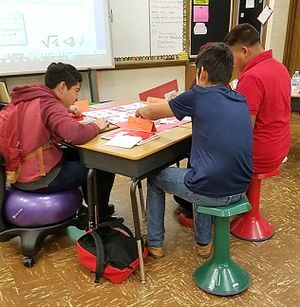 A high school math teacher at a Title 1 school raised $478, funding two Gaiam balance ball chairs and four Learniture active learning stools through her DonorsChoose.org project. If you’re creating your first DonorsChoose.org campaign, you can use the Teacher Friends & Family Code. For the first week of your project, each donation will be matched dollar for dollar—up to $50—when donors enter your code upon checkout. You can also apply for match offers, in which businesses and organizations will match your donations dollar for dollar. PledgeCents serves all pre-K–12 schools, including private schools. It’s similar to DonorsChoose.org—both sites run on donations—but with PledgeCents you can receive all money raised by your deadline or extend your campaign if you don’t meet your funding goal. PledgeCents has contests in which campaigns that raise the most funds within certain time frames win additional money. You can also earn money for your campaign through PledgeCents’ referral programs. For example, you’ll get $1 for every teacher who signs up on PledgeCents through your referral code. When you’re prepping a PledgeCents campaign, plan to include a photo of your room and a short video—somewhere around 90 seconds to two and a half minutes. The site says that including a video increases donations by 20 to 25 percent. “Videos yield the quickest and highest contributions because they allow for people who visit the page to have an emotional connection by hearing the teacher’s and students’ voices and hearing them explain why their need is so important,” says Saberioon. Storytelling is important no matter what crowdfunding platform you choose, so we also asked the sites and teachers about that. Create an outcome-focused title, recommends Chris Pearsall, vice president of brand and communications at DonorsChoose.org. Instead of listing what you need in the title—“We need bouncy ball chairs”—use the reason for your need—“We need to fidget to focus,” he says. Be transparent, advises Saberioon. List the cost of each item you’re asking for: If your donors know that a beanbag chair costs $25, they’ll be more likely to donate at least that much, rather than a smaller amount. Quantify donors’ impact. Make it clear to potential donors how many students will be impacted by their donation and for what length of time. Teachers we spoke with advise you to ask your colleagues, friends, family, students, and their parents to share your crowdfunding campaign on their Facebook pages—though DonorsChooose.org does not advise teachers to ask their students’ parents for donations. Writing emails is also effective—a personal request goes a long way. Write email templates for your friends and family, and customize them for each person. One teacher recommends sending three emails per person—one when your campaign launches, another at the midway point, and the last when your campaign is close to ending—to maximize the chance of getting a donation from each person. Some may intend to donate or share after the first email but then forget, so the other emails can spur them to act. Many teachers share their crowdfunding page in their class newsletter to reach students’ parents. Title 1 teachers generally don’t have that luxury. 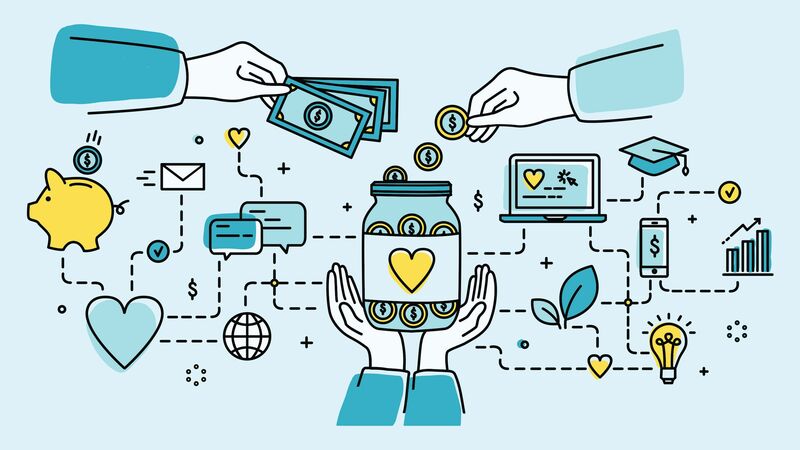 Without the financial support of students’ parents, many teachers from high-poverty schools think that crowdfunding pages are out of the question. But about 25 percent of flexible seating campaigns on PledgeCents are from Title 1 teachers. And on DonorsChoose.org, “two-thirds of flexible seating projects come from Title 1 schools,” says Ombeline Picquet, manager of brand partnerships and campaigns. “We don’t encourage teachers to ask their students’ parents for donations,” continues Picquet. But you can have success as a Title 1 teacher, he says—three-quarters of projects on DonorsChoose.org are funded by donors the teachers don’t know—often corporations or people visiting the site to support public education.